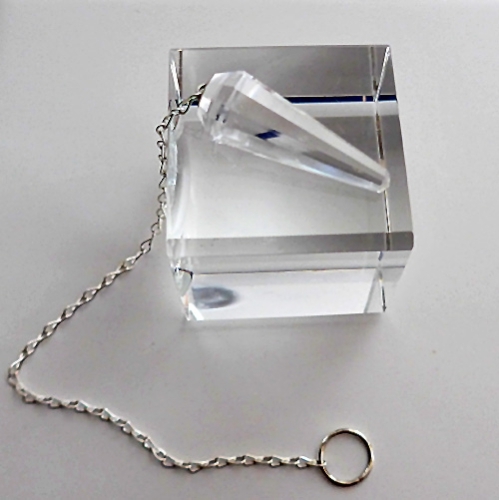 Dimensions (HxWxD): 1.75" x 0.5" x 0.25"
This Clear Quartz Slim Pendulum w/Quartz Bead comes with its own silver chain and a drawstring pouch in which to store it. It has great clarity and fits easily in the palm. You can see a couple of different pieces on this page. 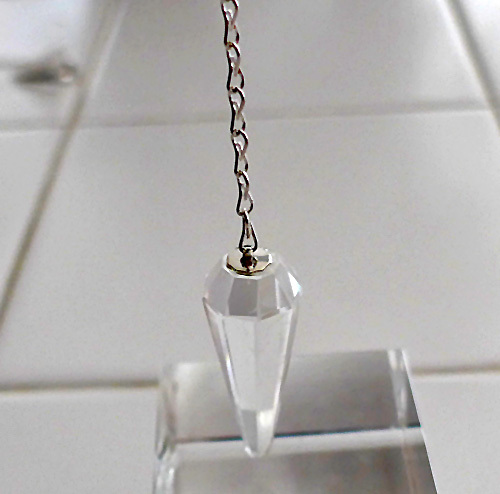 They are each the perfect weight, with a tapered and elegant shape, not too heavy and not too light, this pendulum will bring clarity and light to any question you may ask. Note: Weight above is shipping weight. Average weight is 8.5 grams each. Each piece is unique and may vary slightly in appearance & dimensions from photos here. Each piece is guaranteed to be beautiful and to meet with your complete satisfaction!